One of the most important things to understand about lines is the definition of slope. Slope is the 'steepness' of the line, also commonly known as rise over run. We can calculate slope by dividing the change in the y-value between two points over the change in the x-value. 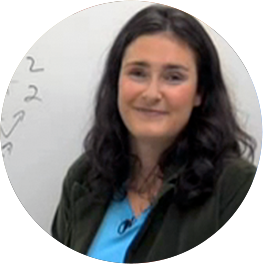 In order to understand the importance of the definition of slope, one should understand how to interpret graphs and how to write an equation. 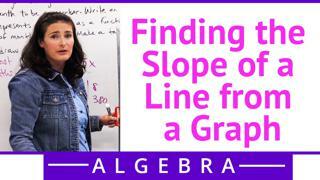 of algebra is the idea of slope. how steep a line is. And that's kind of the basic definition. me remember what slope means. that goes along with it. And we'll get into that in just a second. And here's what I mean. and I have this line right here. It has the same slope ratio. what I mean by ratio. Change in Y on top of change in X. That's why we call it a ratio. Remember ratio is like a fraction. piece because Y is up and down. graph, I would write as a fraction. but now you have to learn Greek. I'll use them up here. Y from my first point. point. Y for my second point. take away Y1 on top of X2 take away X1. written in a different way. you have two points like this. These little numbers down here are tricky. That's my second Y value. I'm subtracting my first Y value. guys start your homework problems. numbers. And here's how you can tell. my axis and here's my line. This is an uphill ramp. We call that a positive slope. I don't know why that's a skateboarding noise. I just made that up. You're skateboarding. You hit that thing, you're going down. That's why we call it a negative slope. to right it's called a positive. you guys approach your problems. So you'll get used to it. know, represent the real world. you're looking at word problems. It can be growth per day. slope back to the real world. kinds of practice with this.